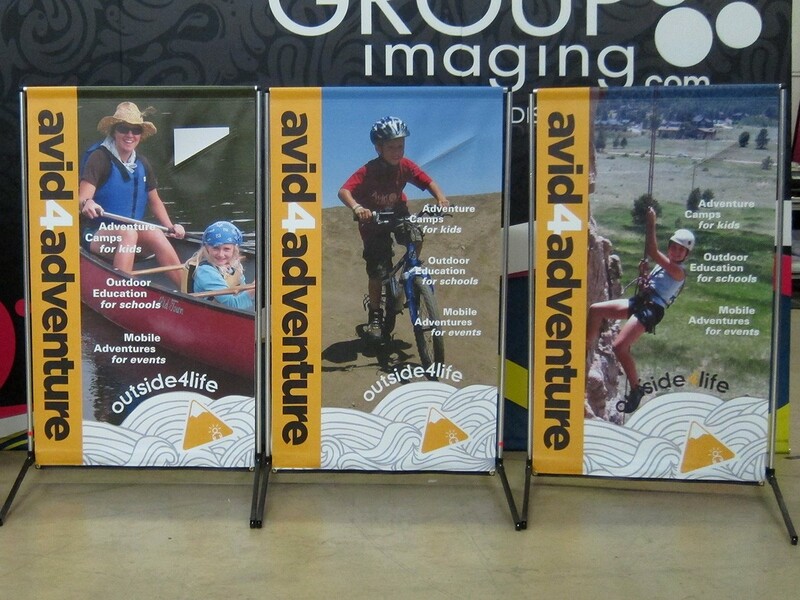 This full color outdoor or interior display is printed on premium 16 oz matte vinyl. 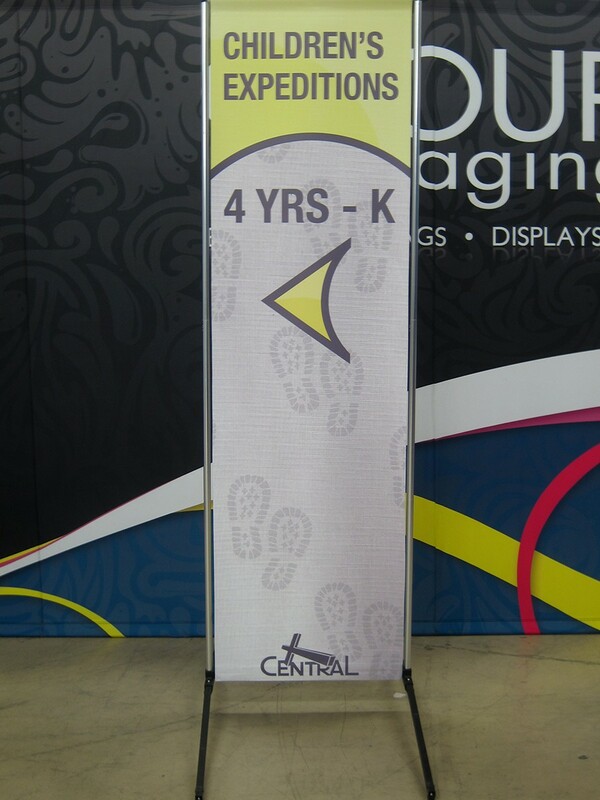 Available with a single or double sided print, this display is built to last and break down to store easily. 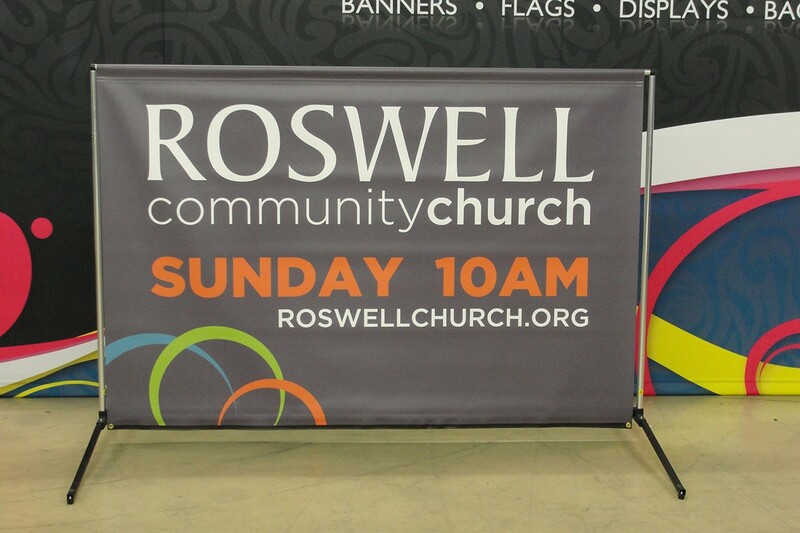 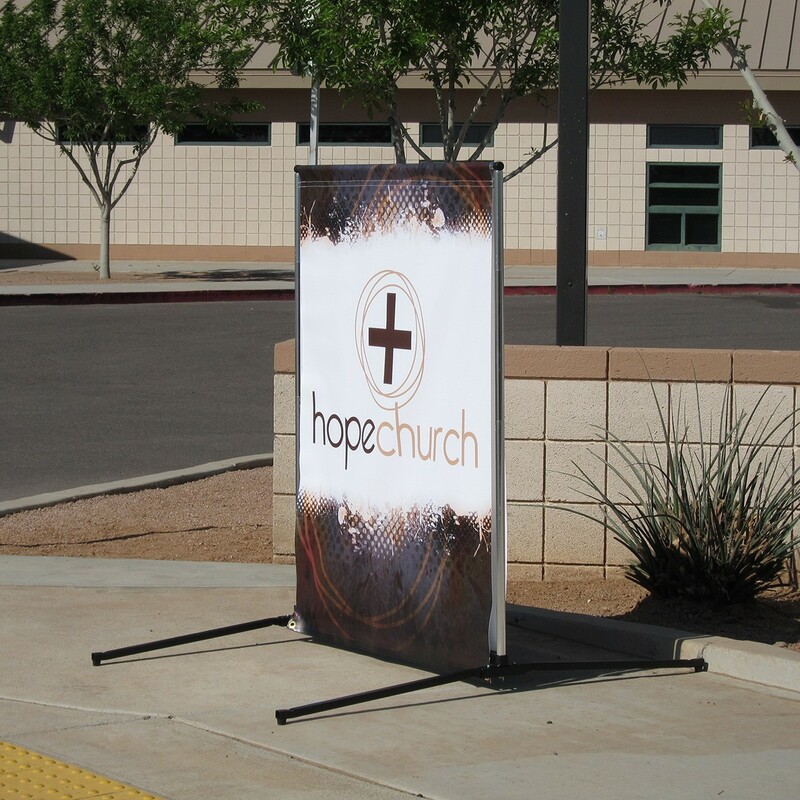 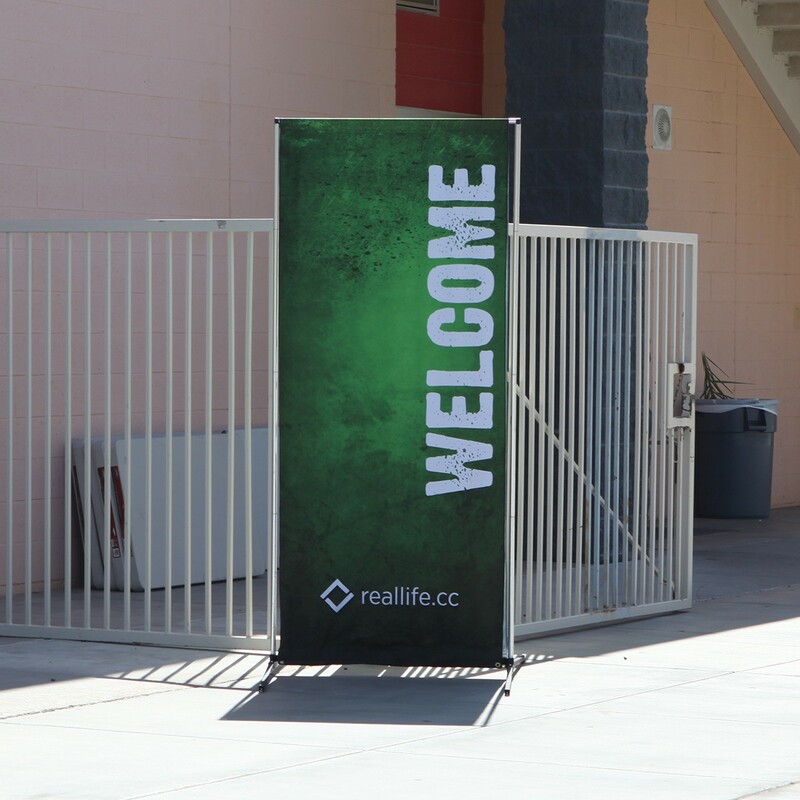 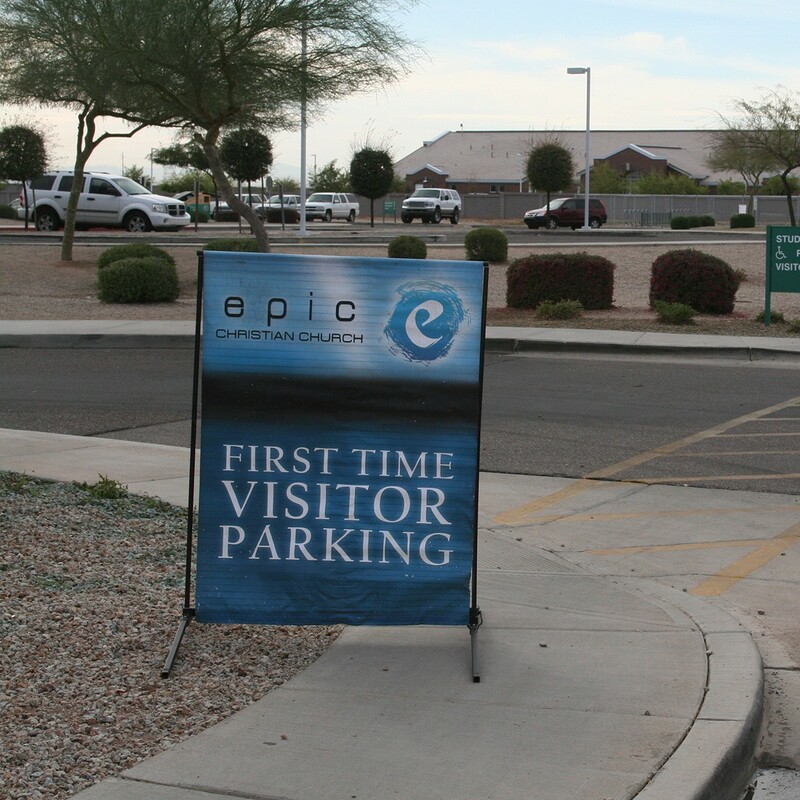 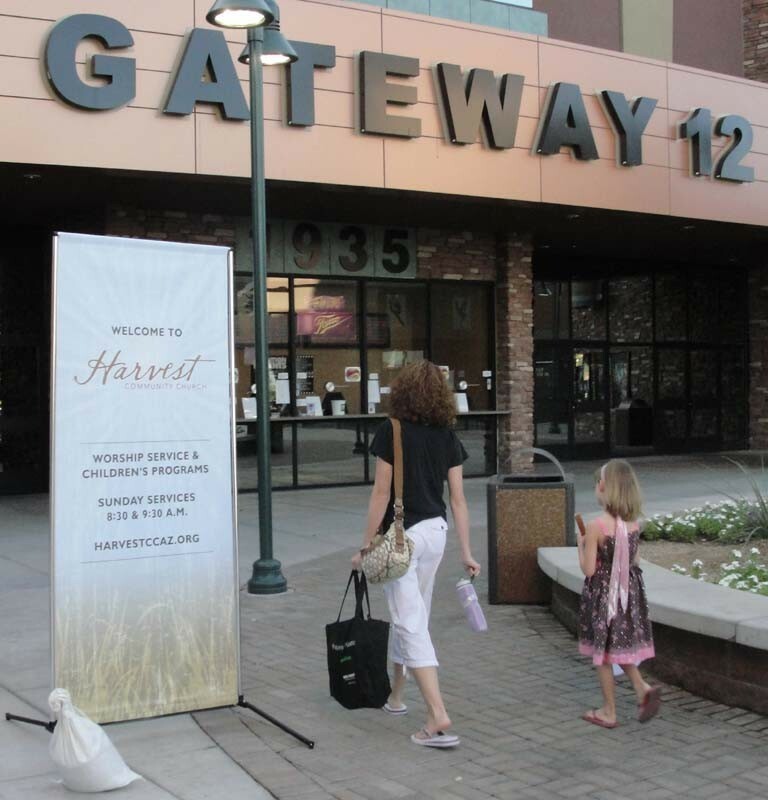 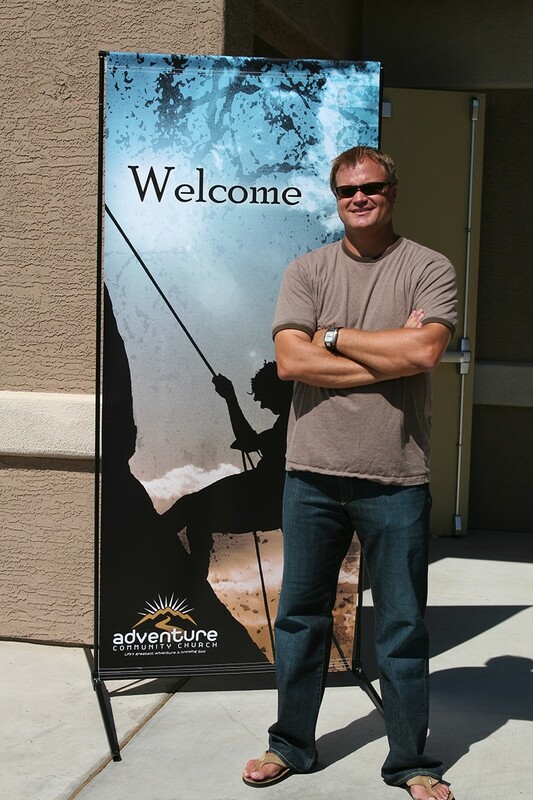 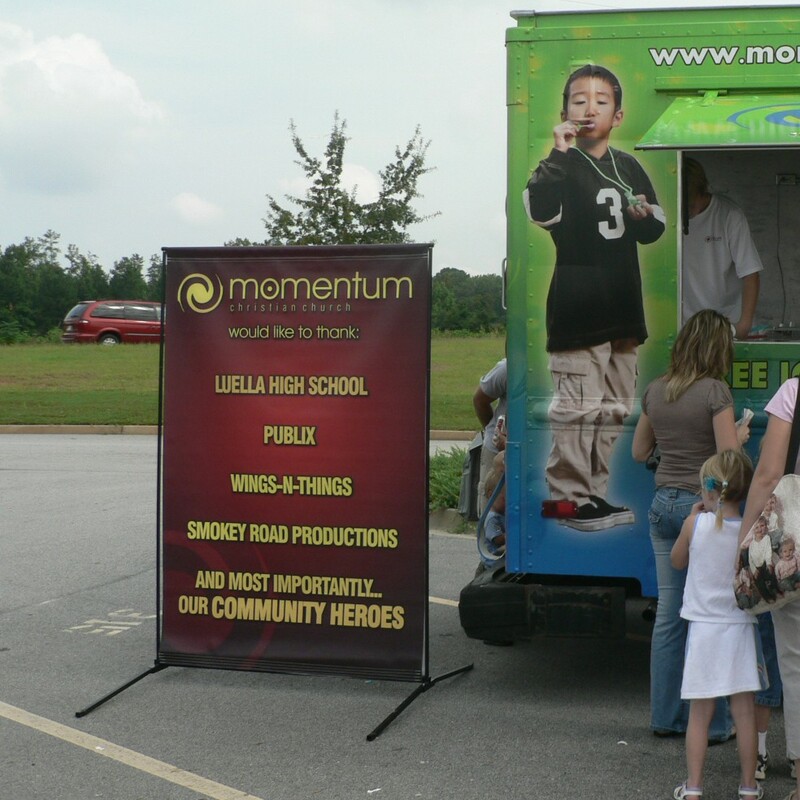 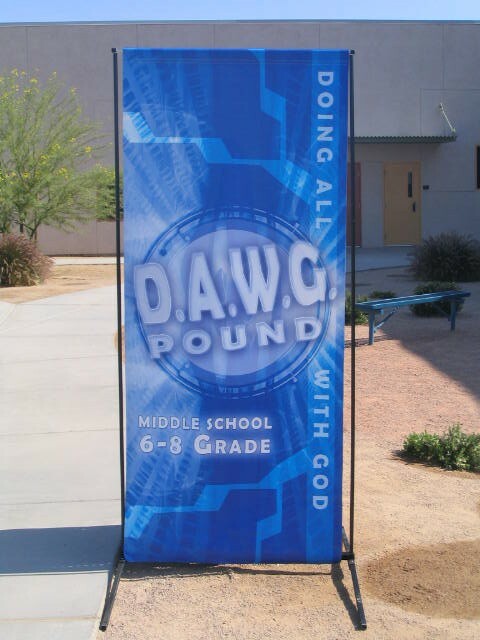 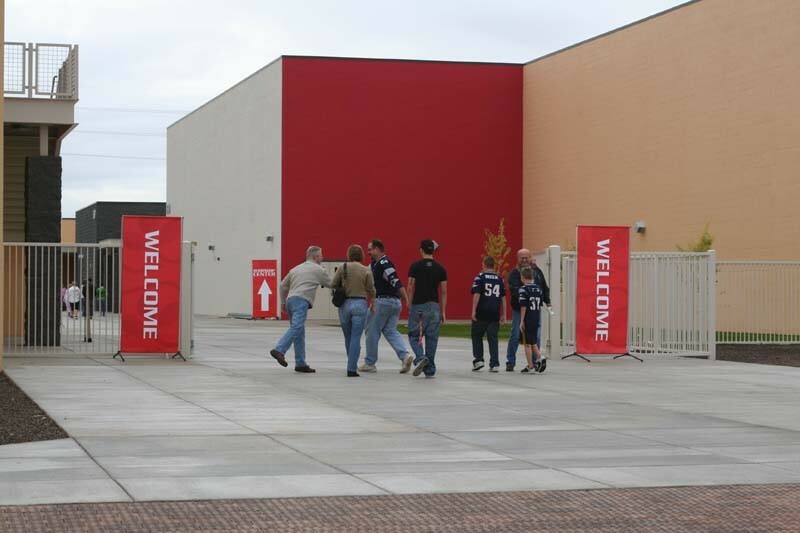 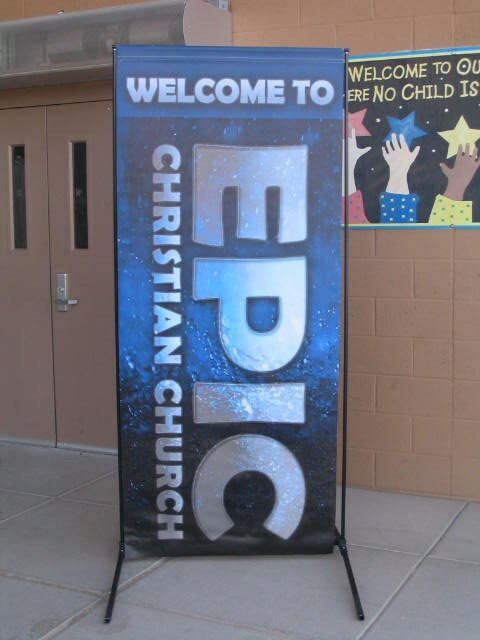 The stand base and feet are made out of steel and the side poles that hold up the banner with durable aluminum. 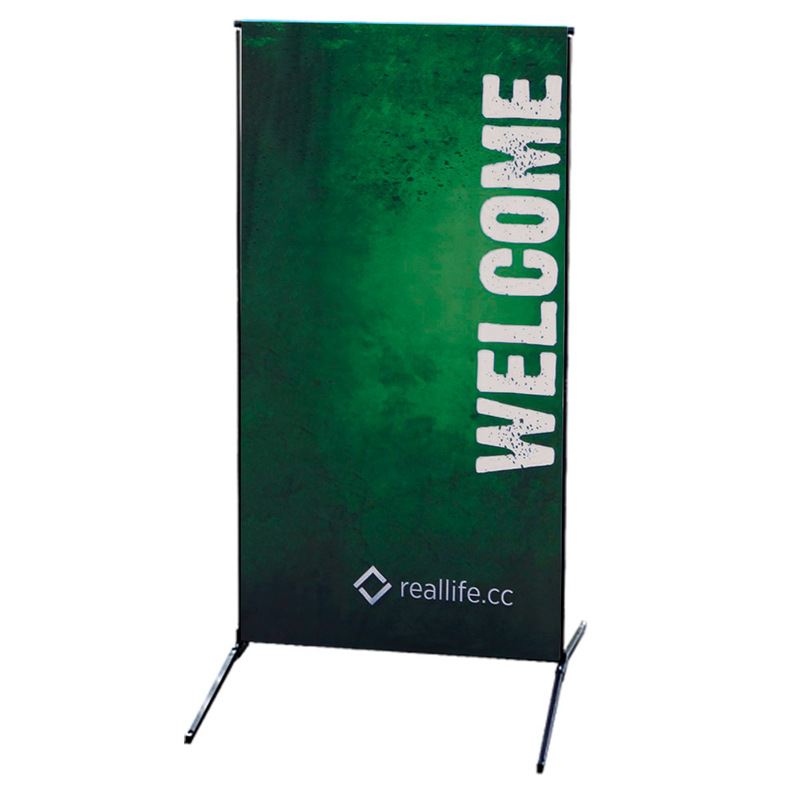 Includes 4 - 18 inch outdoor feet and 2 sandbags. 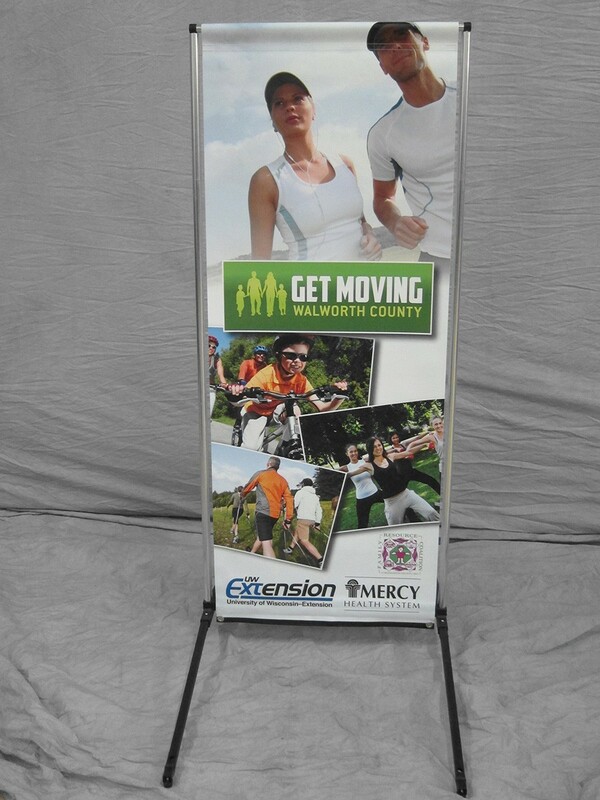 Short 6 inch feet are available as a substitution for use inside or as an additional purchase. 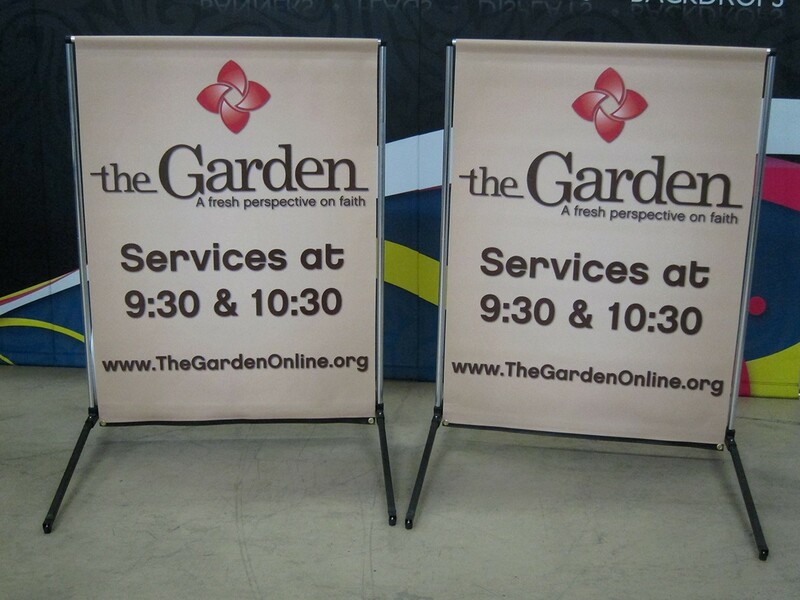 The larger sizes will need more support to counter the effect of wind. 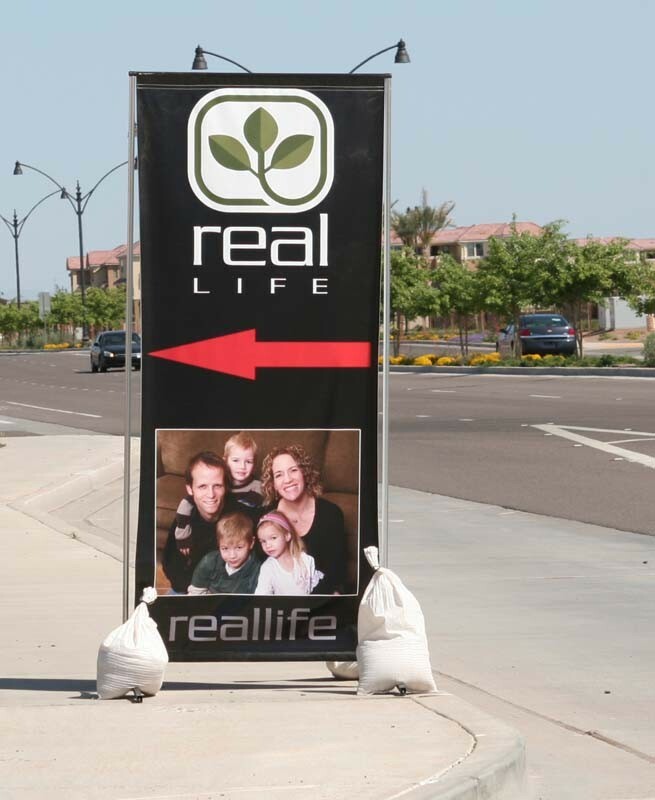 *Please note that sandbags are not shipped with sand.